يشكل Astor Hotel Motel بموقعه الممتاز في ألبورى نقطة انطلاق جيدة لاستكشاف هذه المدينة النابضة بالحياة. يمكن من هنا للضيوف الاستمتاع بسهولة الوصول إلى كل ما تقدمه هذه المدينة النابضة بالحياة. إن سهولة الوصول من الفندق إلى المعالم السياحية الشهيرة الكثيرة في المدينة كمثل Myer Centrepoint, ‪MAMA - Murray Art Museum Albury‬, ‪Monument Hill War Memorial‬ هو استثنائي بحد ذاته. كما يقدم Astor Hotel Motel الكثير من الخدمات لإغناء رحلتك في ألبورى. هذه بعض الخدمات الموجودة في هذا الفندق: تخزين الأمتعة, صف السيارات, غرفة عائلية, مطعم, خدمة غسيل الملابس. في Astor Hotel Motel غرف نوم يزيد عددها عن 45 صممت بذوق وعناية لتوفر لك كل وسائل الراحة . بعضها يحتوي أضاً على غرف لغير المدخنين, مكيف هواء, تدفئة, ساعة منبه, مروحة. يمكنك طلب اللائحة الكاملة للخدمات في الفندق ومن بينها بلياردو, حديقة. اكتشف مزيجاً ساحراً من الخدمة الاحترافية والخيارات الواسعة من وسائل الراحة والمتعة في Astor Hotel Motel. I have stayed here a number of times previously over the years and it always serves its purpose so well. The rooms, although small and simple compared to more expensive motels, are clean and have all the basics you require during a short stay. It's a 5-10 walk to the heart of the CBD however you may not find it necessary to go elsewhere considering the large, modern hotel area with meals, drinks, TAB, pokies, etc. 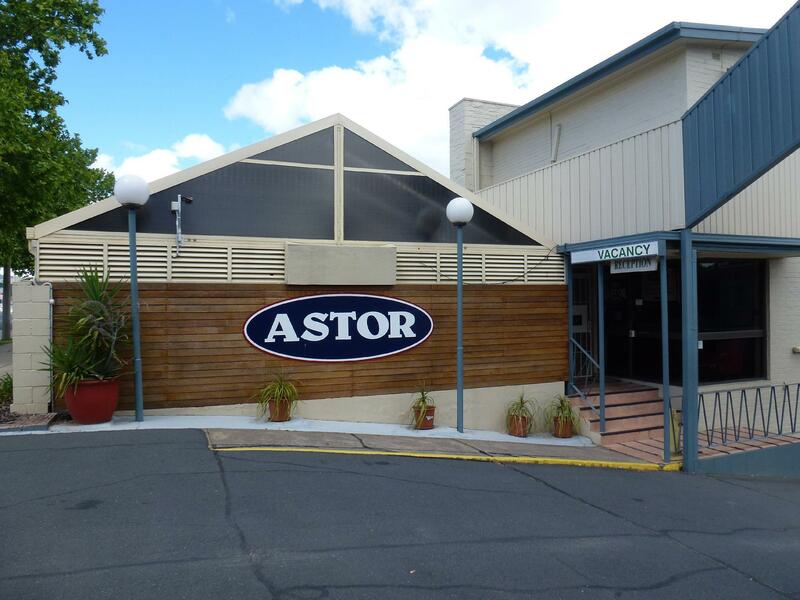 We stayed a night at the Astor as a way of breaking the (very tedious) drive to Melbourne - allowing us to leave Canberra 'after work' one day and still be in Melbourne by lunch time the next day - and that after a leisurely breakfast at the beautiful park by the Murray in Albury. Late arrivals are able to check in via the bar at the adjacent pub. While compact, the rooms have everything you need for a good night's sleep. The location, between the 'new' bypass and the centre of Albury, is perfect. Noise was not an issue - and we were there on a Friday night. Maybe not the place for your romantic Albury get-away, but excellent for people travelling through ! wanted a half way stop over from canberra to melbourne, this was a good choice, easy to find when coming off the freeway. Reception was closed on arrival, little bit confusing to find the bar area that had the keys. Not too far to walk to the main part of town. Little noisy at night with bar, but slept through it. Bistro looked like it had good meals and breakfast. Good value for money. Fast check in and check out. Had crickets in the room, yes in the bloody room, kept us up all night , with noise, until I found them and poured boiling water on them. Shower had dead cockroaches, no microwave to heat baby bottles, TV had only 4 channels working, basically had to go to the bar, yes its in a pub! To get keys etc, smell of stale beer and drunks. Loud drunks walking through car park at night, it's not a safe place.. avoid , better to sleep in the car. Cheap & cheerful motel with clean rooms, but you must like a solid bed, as the king bed we had was pretty hard. The location was minutes away from town centre, the staff were helpful and the rooms were very clean and comfortable. Would stay there again! It is not a palace, but always comfortable bed and i always bring my own pillow anyway. Great little room and great value for money compared with what i can pay elsewhere. Not the quietest but I can sleep almost anywhere when I am tired. 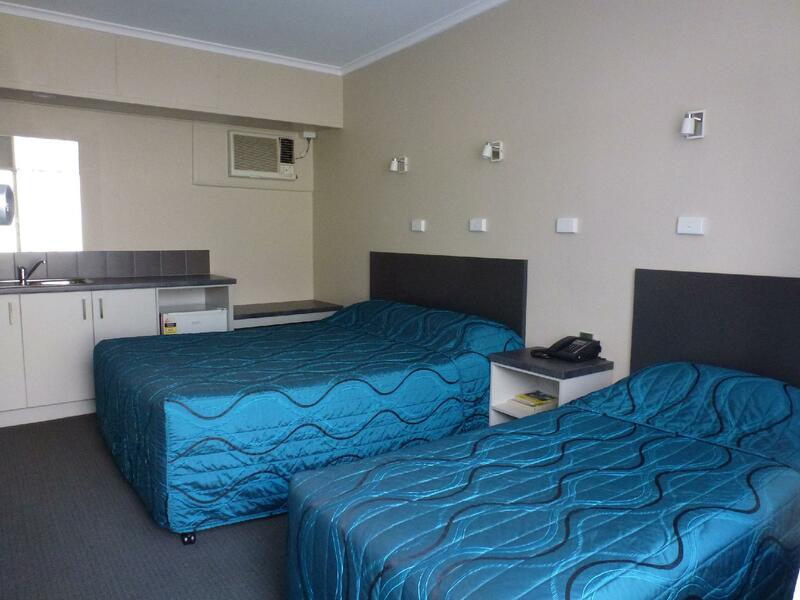 Convenient, sensibly-priced motel to break the long drive from Melbourne to Sydney. A great night's sleep in a clean and comfortable room with everything a traveller needs. Fridge, TV, wifi, crockery, cutlery and even washing-up liquid. Luxurious white cotton sheets, worthy of a 5 star hotel. Super friendly and helpful staff, who helped us connect to their Internet and dispensed refreshing cold beer at sensible prices (even to a Pom!) Better than any of the 100's of US motels where we've stayed. A big thank you to the Astor team. Look this is the back of a pub , but its the best price in town , the room is clean , as is the toilet , bathroom, Nothing pretty about the concrete and pub car park but the wireless is good , the sheets extra clean , heating and a/c If you just wanna room this is the way to go . The exterior doesnt look much and seems quite dated. We were also not expecting much for price paid. But to our surprise, the experience was more than positive. Not only was the room clean and spacious, the bedding was comfortable, the furniture up to standard, the bathroom bright. 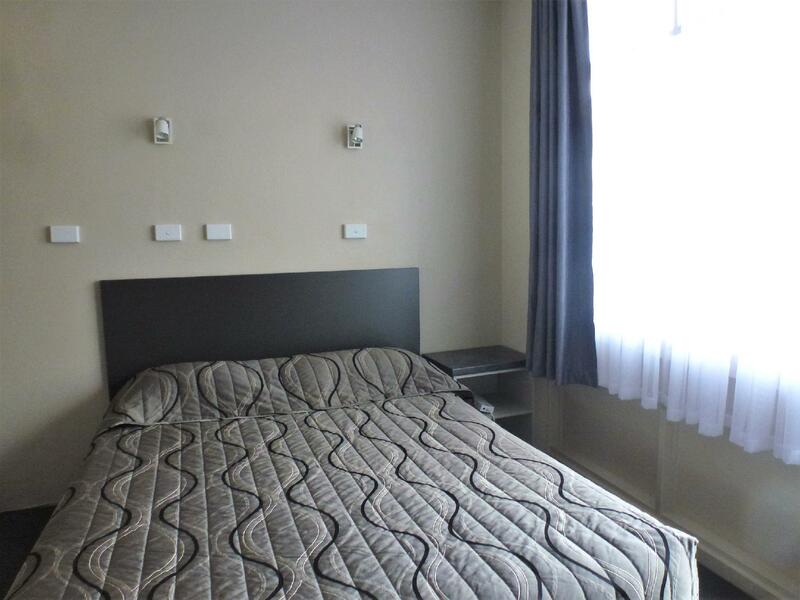 Long hot shower, Good beds, Close location from Freeway & City. Good cheap meals. Older style Pub with motel. We had a triple room, double & single. 2 adults 2 Kids 12 & 2. Good shower Cheap good meals. Beds ok. Clean room. Good for stop over in Albry. Battery needed replacement in reverse cycle air con remote for heating. Room size averge. i needed a convenient and inexpensive place to stop overnight in albury that would allow me to get back on the road early the next morning. the astor fit the bill perfectly. it was easy to find - just a block or so off the freeway. the room was clean and comfortable and i was able to order a lovely (and inexpensive) meal in the bistro. 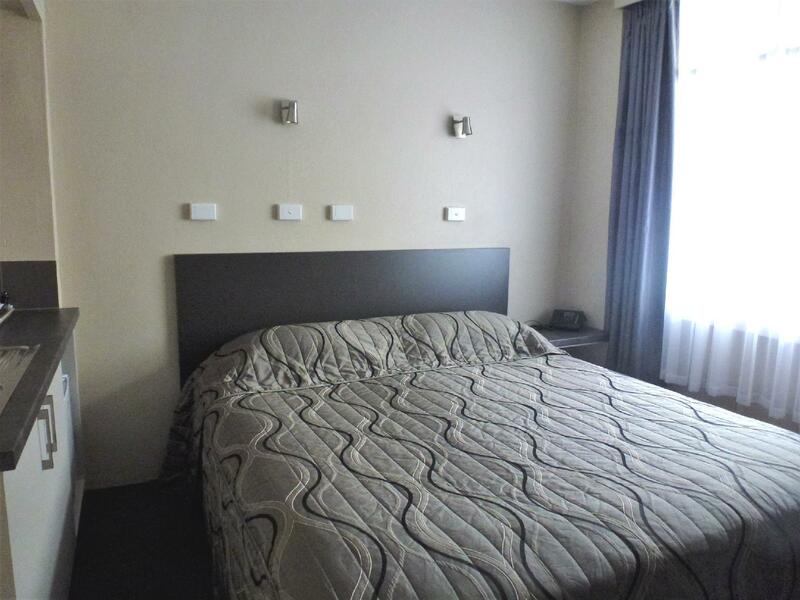 the hotel/motel is easy to find, being on a main corner near the ramps to the sydney – melbourne bound hume highway or hume freeway. the room we had was small, but for the price & it only being 2 nights, it was ok. food in the hotel upstairs is great – i especially recommend their pepper sauce with pretty much anything. presently, the wifi (1 hour is given free, $2/hour after that) connection in the downstairs rooms isn’t worth worrying about – way too slow to do anything with if you can hold the connection. hopefully this will be fixed before our next stay. aldi & bunnings across the road, dan murphy’s is a block or so away (past aldi). woolworths is a 10-15 min walk. nice rooms with comfortable beds. fantastic water pressure. good location close to food. previous ocupant had set alarm for 5am and so it went off which sucked. only one electric blamket so it only covered half the bed. very few powerpints, needs more. overall fantastic stay.